This is an in-camera double exposure. The woman at the machine is a capture of a vintage photograph seen on a poster at Lawrence’s Everett Mill. 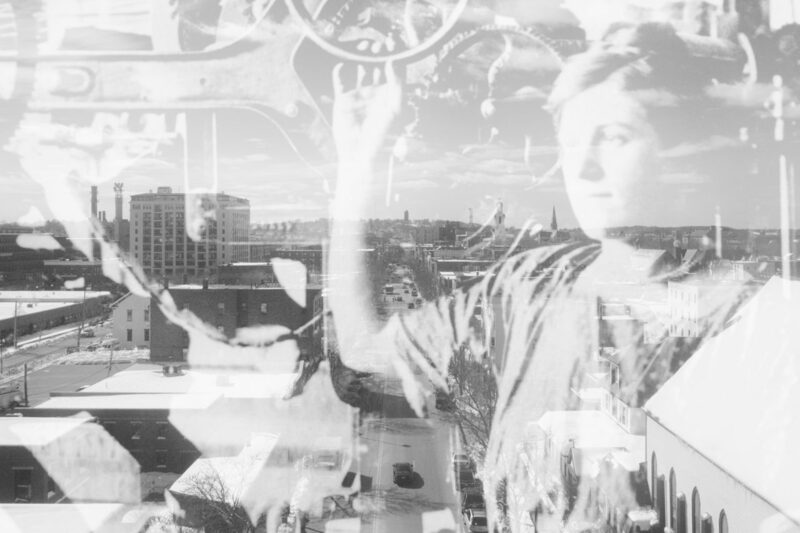 The image behind her is a view of Lawrence, the city this woman worked likely worked in, 100+ years later.